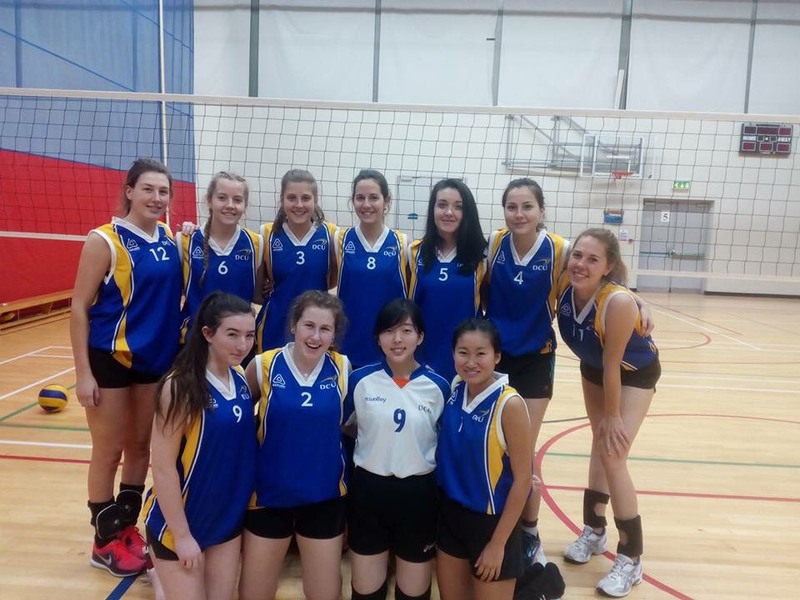 DCU women’s volleyball side triumphed in the plate competition in the Irish Volleyball Intervarsities at the Mardyke Arena in University College Cork. After a successful knockout campaign, a hard-fought victory over GMIT in the final brought the plate home for the college. The men’s side managed to make it to the semi-finals of the plate but were defeated by Institute of Technology Carlow. Club member Ciarán Ramsbottom remained in good spirits following the tournament’s conclusion. “The tournament was a roaring success for the women’s team,” Ramsbottom told The College View. “In a hard fought game against GMIT, they came out as the winners of the plate. “The men weren’t as fortunate, sadly. We managed to make our way to the plate semifinals but that was as far as we go. “I think the plate stage was to be expected for us. The men were missing a lot of key players, so we had to try and adapt to a team we weren’t used to playing with on the day. Ramsbottom singled out setter Jorge Campillo for particular praise, as well as the whole of the women’s side for their commitment. “[Campillo] is the most experienced of us and did an amazing job leading the team every day,” he said. Ramsbottom remains optimistic about the standards of DCU’s volleyball side, as well as the improving standards of volleyball overall countrywide. “The standard down in Cork was fantastic,” he said. “For the men, we were unfortunate enough to play UCC, the eventual winners of the men’s cup, in the group stage, and their level of play was amazing to watch. “We didn’t come away with a win against them, but we played a hard fought second set with them that went down to the wire. “UCC’s women’s team was equally impressive and I assumed they’d be coming away with the women’s cup title as well. Imagine my surprise when I saw UCD’s women team properly route them in the finals.